A powerful Syrian Islamist insurgent group on Sunday pledged allegiance to former al-Qaeda branch Jabhat Fateh al-Sham, a statement circulated by rebel officials and reported by a monitoring group said. The Jund al-Aqsa group said it was trying to settle differences with Ahrar al-Sham, with which it has been fighting for days in the northwestern Idlib province, so as not to weaken rebel fighting against President Bashar al-Assad’s government. Government forces in recent days have captured territory from rebels taking advantage of infighting, the Syrian Observatory for Human Rights has reported. The Observatory, which also reported Jund al-Aqsa’s announcement, said the group was seeking the protection of Jabhat Fateh al-Sham. Jund al-Aqsa’s statement - circulated by rebel officials from other groups and carrying the Jabhat Fateh al-Sham stamp - did not say how pledging allegiance to Jabhat Fateh al-Sham would mend its relationship with Ahrar al-Sham. The move appears to formalize Jund al-Aqsa’s ties with Jabhat Fateh al-Sham, formerly the Nusra Front, which changed its name in July and said it was breaking from the al Qaeda network founded by Osama bin Laden. Jund al-Aqsa, which is on the US State Department’s list of terrorist groups, has been heavily involved in fighting in the west and north of Syria including around Aleppo in the most recent months of the five-year-old civil war that has killed hundreds of thousands of people. 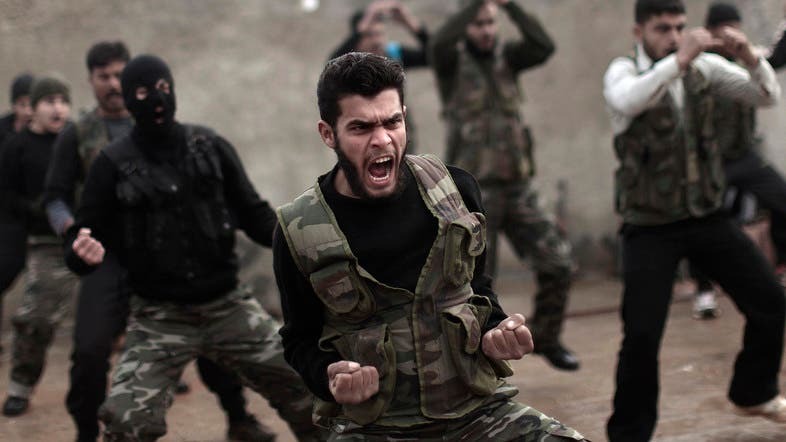 Syria’s Islamist insurgents have eclipsed more moderate and Western-backed nationalist rebel groups in the conflict. Nusra Front’s breaking of ties from al-Qaeda appeared aimed at assuaging Syrians who had misgivings about its links with foreign militants. Al-Qaeda leader Ayman al-Zawahiri said at the time that the split would help unite Syrian insurgents.